Balloon Team Italia, Tuscany Ballooning, is a professional balloon rides company which operates throughout Italy and our sister Balloon Team SA Lugano also in southern Switzerland. Tuscany Ballooning is based in the heart of Tuscany in the renowned Chianti wine region, near the town of San Casciano in Val di Pesa, a few minutes drive South of Forence along the main road to Siena. Our Team is driven by a passion for flying and the desire to share this wonderful experience with likeminded people looking for a unique opportunity. 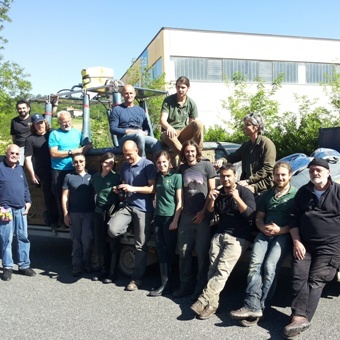 We constantly work on new ideas and challenges and in synergy with our partners over the years we have evolved into one of the most creative, dynamic and reliable Balloon Teams in Italy. 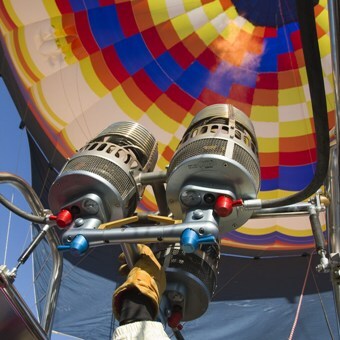 Balloon Team Italia is also dealer for Ultramagic SA, The most innovative hot air balloon manufacturer in the world. Balloon Team Italia – Tuscany Ballooning is the Top Team for hot air balloon flights in Italy. We fly not only in several locations in Tuscany: Florence, Siena, San Gimignano, Montalcino, Lucca, Cortona but also in Lombardia Region near Milan, Lodi, Crema, near the lakes, Como, Varese. In Piedmont near Barolo, Alba, Mondovì and Carrù. In Emilia Romagna near Ferrara, Bologna and further South in Lazio we fly along the Tiber valley, North of Rome near Magliano Sabina. 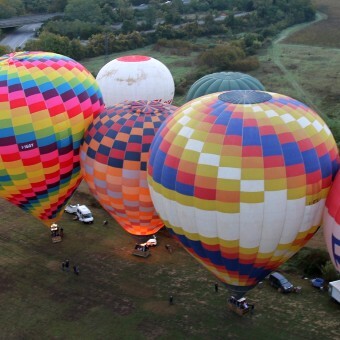 We operate a large balloon fleet of various sizes, comfortably accommodating from 2 to 4-5, 6-8-10 up to 18 passengers. Our variable fleet and dynamic crew allow us to be very versatile and satisfy every request; from flying regular morning flights, and Privilege exclusive VIP flights, private family group excursions and large Incentive Team building groups of over 100 passengers. We provide impeccable customer service and attention to detail. We retain constant focus on the safety and enjoyment of our passengers, and because we are a relatively small company we are able to provide a very personal, intimate and authentic experience. We fly passengers from all over the world, our crew speak several languages. We operate all year round, while we mostly fly in spring and summer, the autumn and early winter months are becoming increasingly popular. Balloon flights on clear winter mornings can be absolutely stunning.